This is another recipe from Rak's Kitchen. Her Blog is one of my inspiration to create a blog. So i'm happy post a recipe from Rak's Kitchen for Tried and Tasted event. Its a easy breakfast/dinner recipe. 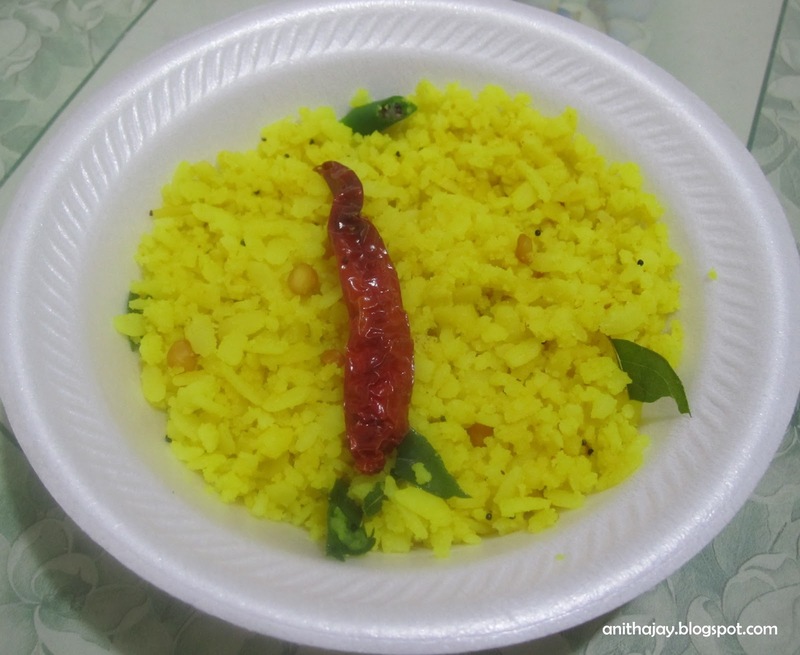 Wash and soak Poha in a warm water. The water is enough to immerse the poha , add lemon juice ,turmeric powder and salt to this and mix well . Keep it until all the water get absorbed by Aval. Heat oil in a pan , add mustard seeds and curry leaves. Once splutter add channal dal ,red chillis and cook for 2-3 minutes.Now add Aval ,mix well and cook it in low flame. Serve hot with the Pickle. i love this tangy n yummy poho...both lemon n puli aval are my fav :) nice color! that is so delicious!!! Thanks for linking it to my events!! Looking for more yummy recipes!! Love this puli aval after coconut aval.